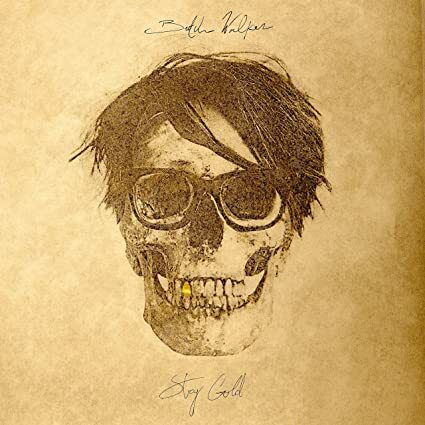 The opening guitar riff of the lead-off track sets the tone right out of the gate: Butch Walker is ready to rock. His last album, 2015’s Afraid of Ghosts, was a somber and moving reflection on the loss of his father. After the catharsis that came from that release and the subsequent acoustic tour, Walker has retrieved the electric guitars from the closet and, well, cranked them up. There’s something about a Butch Walker song that is almost immediately recognizable. He walks the line between slick pop and scruffy rock. The sugared, soaring choruses are ripe for sing along while the guitars and arrangements explode with a boisterous abandon. “Stay Gold” and “East Coast Girl,” the 1-2 punch that open the album are fine examples. The latter song is a particular treat, sucking you in with a bass-driven spoken verse before erupting into a fist-pumping chorus. It invites the kind of euphoric release that calls to mind songs like Springsteen’s “Born to Run.” You know, the type of song that insists on being played loud. There’s a broad theme of change across Stay Gold. It runs the gamut from relocating from one city to another (“Spark: Lost”) to reconnecting with and reflecting on an old lover (“Wilder in the Heart”) and even the idea of resisting change to remain true to one’s self (“Stay Gold”). He is occasionally nostalgic but generally takes a reflective perspective that acknowledges the past while remaining in the present. Acoustic album closer “Record Store” finds him especially contemplative, the long since closed store serving as a metaphor for a long-past relationship that wasn’t meant to be. “What if things would’ve been different and you ended up with me?” he asks even as he acknowledges the circumstances that led them down divergent paths. Of course it’s the rockers that dominate Stay Gold and you’ll get no complaints from me. The album combines feel good earnestness with a take no prisoners rock and roll attitude. “Don’t be alarmed and don’t be afraid, I’m leaving this party in the mess I’ve made, he proclaims on the rowdy “Irish Exit,” “I ain’t gonna feel a damn bit of shame when I walk out the door.” No shame required, certainly when one delivers what could be the rock party album of the year. While we’ve been rewarded this year with some outstanding albums from longstanding favorite artists, it’s really been a banner year for new musical discoveries. 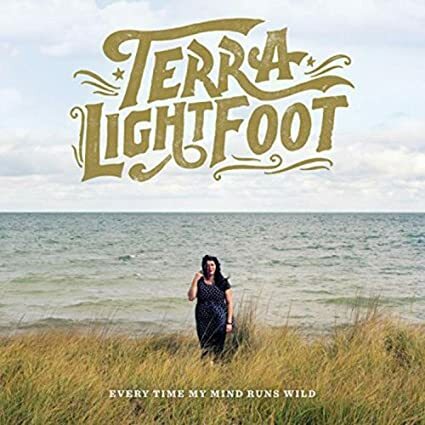 Ontario, Canada singer-songwriter Terra Lightfoot is a welcome addition to that list, a triple threat who brings together stirring songs, solid guitar chops and a commanding voice. “Never Will,” the infectious lead single, is a prime example. Lightfoot’s voice and guitar share the melody line through most of the verses before the song erupts into a furious chorus. “Oh, I can’t write you a good song,” she sings, “I never will, never will, never will.” I mean what’s not to like about a kiss-off song that comes with a stirring “ooh la-la-la” chorus? The equally irresistable “Lily’s Fair” has a similar assured attitude even as Lightfoot reflects on a lost love. “I’ll keep searching in vain for any path you might have made,” she sings, “when you took my heart and you walked away.” It comes across as less a song of lament than one of determination. Elsewhere Lightfoot takes a more optimistic tone and outlook. “See You in the Morning” is an ode to young love, a combination of excitement and uncertainty as to what could become. “No Hurry” finds the singer settling into the relationship while things get more serious on the bluesy “Home To You.” The last track, in particular, bristles with a confidence that is ushered along by a simmering organ and a soulful chorus. American Aquarium frontman BJ Barham’s debut solo release is a deep reflection on life growing up in a small North Carolina town. Barham says that it isn’t autobiographical but is rather based on stories and people from his childhood, although it is hard to escape the personal nature of the writing. The songs were written in a quick creative flurry while Barham was touring Europe with American Aquarium. The night of the fateful Paris terrorist attacks, including the ruthless massacre at the Le Bataclan music club, the band was performing a mere two hours away in Belgium. It was a horrific event that, not suprisingly, spurred some deep personal reflection. As one might expect, the resulting album is a somewhat somber affair. I wouldn’t call it downtrodden, however, as he paints pictures about everything from the economic hardship brought on by the slow demise of big tobacco to bittersweet tales of small town romance. The characters who inhabit Barham’s songs balance their dreams with muted reality, occasionally finding pleasure in the small victories. The attention to detail and storytelling call to mind Bruce Springsteen, if he grew up in rural North Carolina rather than suburban New Jersey. It’s hard to escape the personal nature of Longley’s latest album, the aptly titled Weightless. The songs find Longley laying bare the anger and despair of heartbreak in stunning fashion. In doing so, however, she sets these moving tales against melodies that have an airy and often uplifting quality. Chelle Rose may very well be a warm and friendly person however it’s often hard to tell from her music. Her latest album finds her wrestling with some demons, digging deep into her family history and time spent growing up in rough and tumble Appalachia, the Blue Ridge Mountains to be specific. Across the album’s 11 tracks, Rose takes on ex-lovers (“Not Your Girl”) and recalls ornery family members (“Mean Grandpappy”) with a musical snarl that rings out with a powerful intensity. “I couldn’t get away from it if I tried,” she sings on the title track (which features Buddy Miller on guitar and vocals). It is both a comment on the bond that she has with her rural upbringing and an admission that it has shaped the person that she’s become. Despite the frequent fervor in her lyrics, the musical arrangements are generally restrained. I find myself drawn, however, to this track that bristles with a ragged – and fierce – energy. Carsie Blanton’s hometown of New Orleans has always been something of a musical melting pot, producing a sound that is as diverse as it is distinctive. Yet while most will often think of cajun, old time jazz and blues when considering the New Orleans sound, Blanton creates a different kind of, well, gumbo. Her music settles in the pop realm, infused with jazz elements and even a little Broadway-style panache. Blanton sings with a captivating sweetness and an attitude that somehow manages to be simultaneously affable and brash. Aside from the splendor of her voice, the former quality comes from the frequently lush and cheerful arrangements of some songs on So Ferocious. The latter comes in the form of a fiesty musical and lyrical edge most prevalant in songs like the title track and “Vim and Vigor” (“This ain’t 1954, it ain’t a man’s world any more… I do what I like because I’ve got moxie.”). Blanton describes the album as “a pop record for smart, ferocious, muffin-hearted libertines.” It’s an apt – and appropriately smile-inducing – description as this track, a personal favorite, demonstrates.